Gently soothe your baby's skin turned weak and irritated because of diaper use, particularly in joint areas. particularly in skin folds and because of diaper use, returning it to its healthy state. You can safely use it on babies with delicate and sensitive skin, as well as adults. When your baby's buttocks are irritated from diaper use, wash and remove pollutants that may cause irritation. After washing, dry buttocks well so that skin does not become excessively moist. 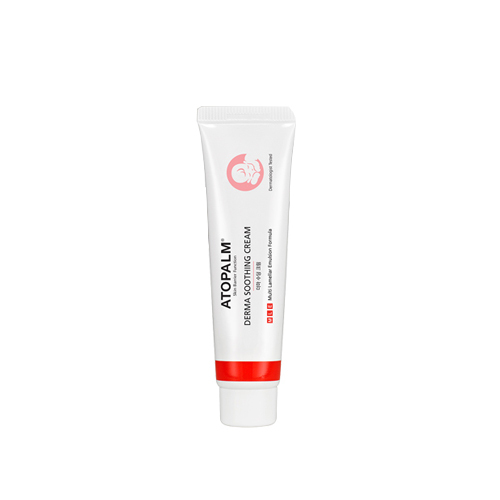 Then, apply the Atopalm Derma Soothing Cream to keep skin healthy. Use diaper as usual. Step 1: Search for products. Step 2: Add products to your shopping cart. Step 3: Log in with a member ID or non-member order. Step 4: Fill in the order form. Step 5: Proceed with payment. Step 6: Complete the order and you will see the order number. We accept payment via PAYPAL. You can pay with your paypal balance or with your credit/debit card via paypal. Economy and standard shipping take 10~25 business days averagely and EMS shipping takes 3~7 business days usually. Please note the shipping time does not include the customs clearance, or other potential delays. We always declare as GIFT and lower value(like $7~$40 / depends on parcel size) on package to avoid that kind of situation, but we cannot guarantee it will not get caught on customs. If some charge occurred, it is buyer's responsibility since it is beyond of our control. We accept returns within 7 days after receive item. Returning item must be ORIGINAL and BRAND NEW condition. Return shipping cost is buyer's responsibility. However, if any return caused by our fault, company will surely cover the cost.